Nelly Garden, owned by the Lopez Clan, is one of the famous landmarks in Jaro, Iloilo City. Nelly’s Garden features a beautiful expansive landscaped lawn with a massive art deco style American-colonial heritage house as its backdrop. A travel agency manages tours of Nelly Garden if you want to see what’s inside the house. Their office is located inside the compound. Prior notice is encouraged by the management. I’ve heard of the Lopez Mansion being booked for celebrations.. Who can I contact? you can visit nelly’s garden as long you arrange it or book it as ahead of time the are open to the public right now. the entrance fee is 150 php. per head. 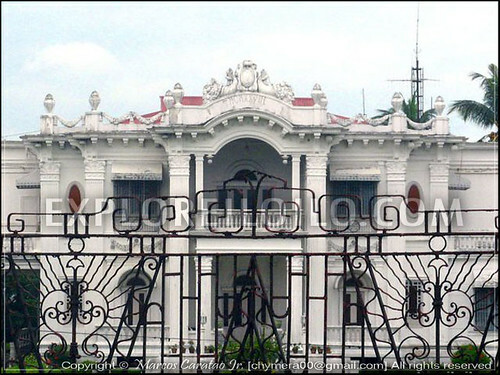 some friends and i will be visiting iloilo this April 13-15, is it (nelly mansion) really open to the public now? Thanks for the reply Vic, I appreciate it. Now I understand your stance and readers will be informed on the limitations of the Nelly Garden as a historical site. At Marcus i am asking reparation for any inadvertent adverse outcome of my ” personal opinion” … and honestly…. every night of every day here in Iloilo …you know im apt to gaze over it … It’s charm never grow weary to me, and i’m ever beginning to excavate its history … truly in it engraved the genuine mark – grandeur of labor produce lasting masterpiece. Its accurate its called Landmark and a point of interest in certain way it resonates Family-history. It’s a beautiful Garden , an outcome of prosperity afforded by the ” Hacienda ” in Negros Occidental … , may as well good if others will inject thier critical viewpoint about what an ” Ilongo culture” may exude from Nelly’s Garden had it define Ilongo History or ethnicity . But its a tough … we cannot produce empherical evidences whether that place was settings of government momentous/important/ operations ( was it Japanese Headquarters? ) , a very site of a birthplace of Hero, Saint , Imminest scientist , genius in various subjects and the like … so therefore we cannot put marble stone in there with inscriptions . By saying that the Nelly Garden “not tourist spot” and now “undertermined cultural and historical significance to Iloilo,” it creates a negative impression to potential visitors. It’s understandable to point out earlier that it is not open to the public. It’s a frustration of mine too that almost all heritage houses in Iloilo are only available for special tours and prior permission from the owners. There’s not much the gov’t / tourism agencies can do about it since these houses are private property … but to say that it has “undertermined” cultural and historical significance puts a real doubt to tourists who stumble to this page. “Cultural significance” is a qualitative assessment (based on personal opinion) of course it will be undetermined. I’m asking you vic to tone down the negative comments on this blog. If you could, it would be better to expound further in a more constructive way. We could arrange a tour if you like to visit Nelly’s Garden. For further info kindly contact Magbyahe Travel at (033) 3963430 or 0910-359-1670/0917-477-3735. 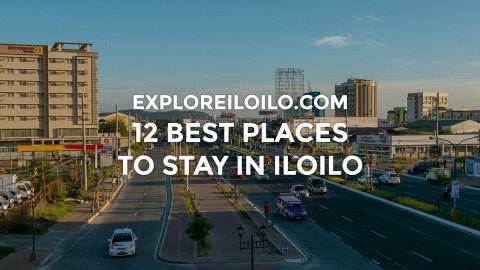 Not only Nelly’s but Casa Mariquit, Lizares Mansion and other interesting places Iloilo has to offer. mocca sorry 4 ur ignorance but now ramonsito can be called ramonsita. Ignore idiots like Ramonsito who just show they have no sense, breeding or common courtesy whatsoever. The Nelly Garden isn’t a point of interest just because it is a mansion or large residence. The Nelly Garden has become a tourist spot because of its cultural and historical significance to Iloilo … more sensibly, because the spot actually attracts the attention of tourists. 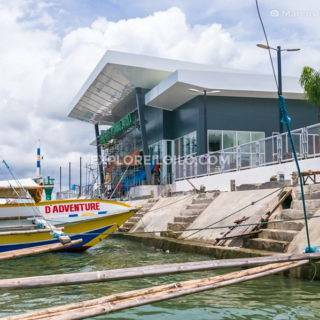 Explore Iloilo is not only aimed at promoting the conventional “tourist spots.” If it were, there would be no point to this blog. The DOT and local gov’t tourism offices already have that covered. This blog is also aimed to promote places of interest that have the potential to attract tourists but may have been neglected or totally undiscovered by gov’t agencies. Is the Lopez Mansion open to the public?